Today, Holly is chief bridesmaid at the wedding of her uni friends Rae and Dave and this is the picture she has just sent me of her, Rae and Rae and Dave's daughter, Nora-Quinn. Don't they look beautiful? 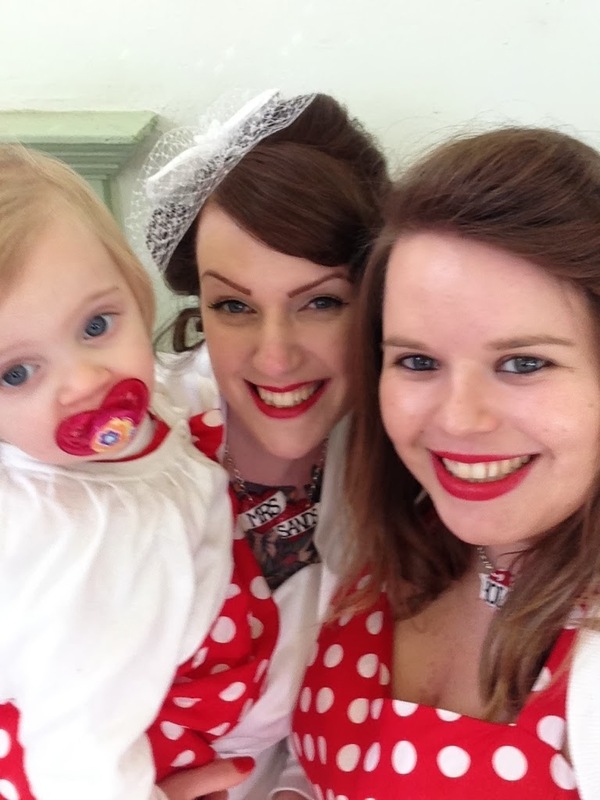 The theme of the wedding (as if you couldn't guess) is vintage and red and white polka dots. I made a very quick card for them last night using some my new Stampin up stuff - I hope they like it. I added some stickles to the Mr & Mrs to highlight it a bit but I'm not sure if if shows too well in my photo. A pretty wedding card & the hearts are so cute. Wow that looks like a fab wedding, love love love your card - beautiful!